The Engineering, Construction and Procurement industry works to manage risk, forestall value overruns, and deliver the project on time. Implement the best ERP for EPC (Engineering Procurement & Construction) companies that make these activities go smoothly and effectively. AgES, EPC ERP, offers full visibility and control of project costs, revenues, variances and progress measurements. Provides detailed cost and revenue estimates, along with benchmark reports to manage projects intelligently, collaboratively and as unified entities. The ERP for EPC industries can be effectively integrated with any type of Biometric device to monitor employee movements and offers impressive metrics about your employee and contract staff including available hours, expenses and banked time. 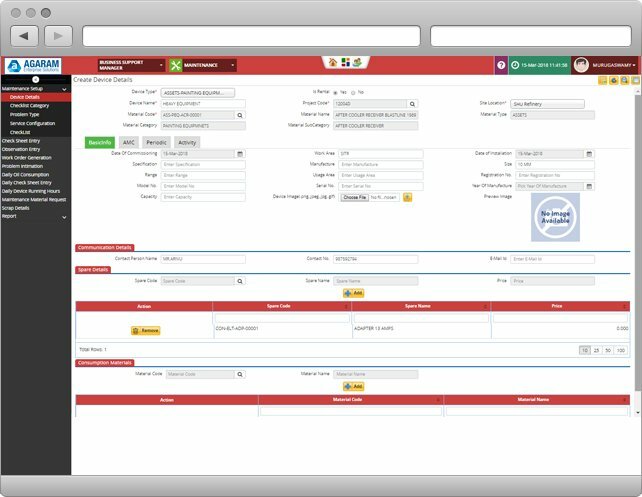 Our EPC Software offers fully integrated timesheet and expense functionality; users can track time and expenses accurately to the specific project task. This reduces errors in time capture, enables management to track actual time to budget. WBS is maintained for each work category to organize work, build realistic schedules and produce accurate cost estimates. The detailed WBS makes easy reporting / tracking / controlling project progress, budgeting and costing, managing funds, and controlling changes. AgES achieves increased productivity through careful scheduling of manpower, machinery and materials. Completely eliminates time spent waiting for materials and equipment, and due to machine breakdowns and irregularities in manpower allocation. Consequently profit margins expand and productivity increases through the investment in critical technology. From architectural plans to markups to RFIs, all the documents are managed in an efficient, organized way. 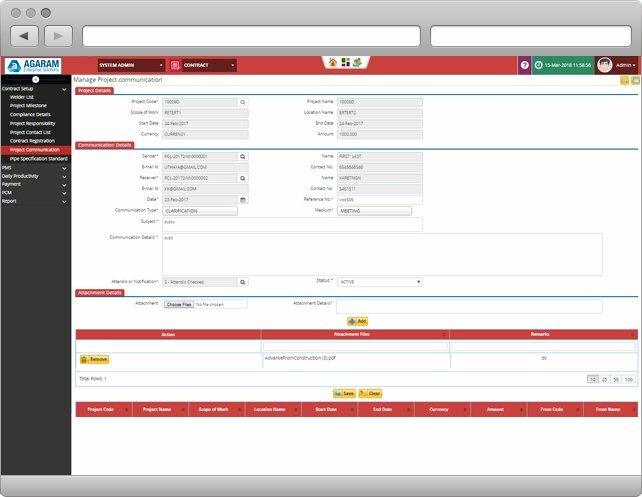 AgES ERP for EPC Contractor keeps track of the most current documentation enabling anytime, anywhere access for project stakeholders. This facilitates communication and ensures that everyone is working synchronously in real-time, both back at the office and in the field. The Admin module of our ERP for Engineering, Procurement and Construction (EPC) industry serves as a platform for efficient information exchange between the different departments of the organization. Comprehensive Manpower mobilization maintains candidate wise status information & Visa Process Information. The admin activities like maintaining the day to day financials – payments & receipts, vehicle allotment, administrative and personnel services are effectively automated by the system. The admin portal offers a streamlined flow of approvals through restricted authorizations, alerts and notifications. Efficient Visa & Passport management process. Appropriate Alert Messages provided for processing stage. Efficient Vehicle allotment & handover process. Comprehensive Camp & Worksite status reports. Efficient Petty Cash management - Bill Types mapped to limit. Controlled Cash Payments - Cash settlement mapped to Cash Request. Appropriate alerts for renewal of Passports & Company legal documents. Our EPC software effectively handles all the human resource management activities like recruitment, Project allocation, Employee Payroll, Appraisal and relieving. Comprehensive Recruitment Process manages right from Project Visa Quota allocation to the mobilization of required manpower. The payroll processing of more than thousands of employees is efficiently performed with ease and accuracy. Efficient Recruitment cycle - Interview Scheduling, Selection to Candidate Mobilization. 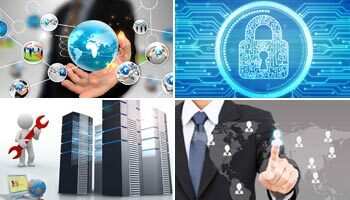 Complete Employee information capture & maintenance. Resource training & certification details maintenance. Information about Employee Training and Certification. Efficient resource allocation, attendance and leave management system. 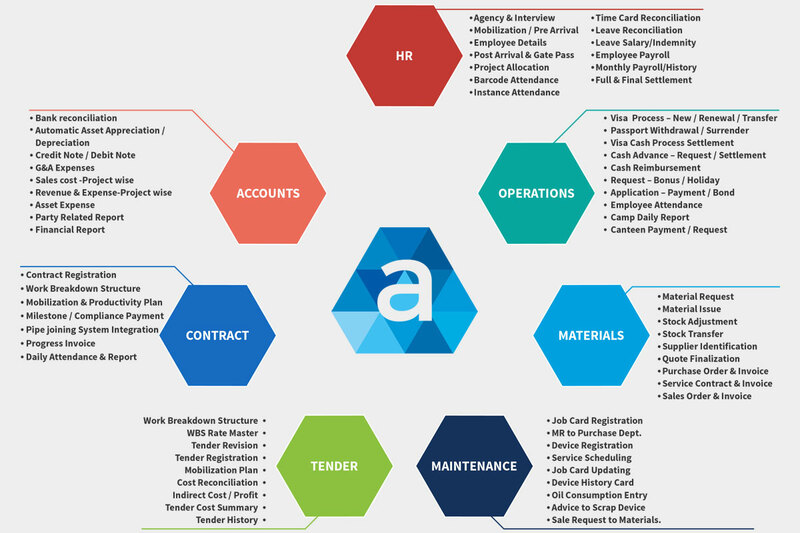 Comprehensive Employee Payroll setup & processing, Leave salary & indemnity. Easy tool to handle appraisal process and relieving formalities. 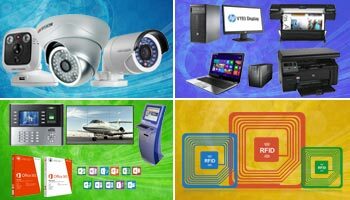 Accurate employee data capture through real time integration with Biometric device & Barcode scanning. Efficiently handles multiple currency payrolls in a single system. Provides all MIS and tracking reports in a single click. Material Management module of our comprehensive EPC ERP efficiently manages the complete cycle of material procurement, allocation, monitoring, and supply as per the requirement. The entire process is streamlined through appropriate approvals & authorization workflow. The material purchase process ensures the selection of the right supplier with cost benefit & quality analysis. It also supports subcontracting, sale of physical assets, and service activities. The ERP for EPC Contractor offers numerous inventory reports that give centralized stock view across the organization and details of the movement of goods. The EPC software supports FIFO based stock movements which reduce non-moving stock, avoids dead stock and unwanted reorders. Purchase process offers easy selection of best supplier. Maintains Historical price information & Purchase quota allocation. Effective control and Visibility over the entire purchase Process. Maintains Project Wise material consumption details. Provides Systemized moments to subcontractors. Maintains Material wise reorder level and provides appropriate Purchase alerts. Centralized control on vendor and price information. Appropriate authorization level and streamlined workflow for purchase order approvals. Efficient Inventory tracking through Serialized label & barcode generation. First In First Out (FIFO) based issue eliminated dead stock. Supports Interplant stock adjustments, provides extensive reports. Detailed Inventory review through ABC analysis report. 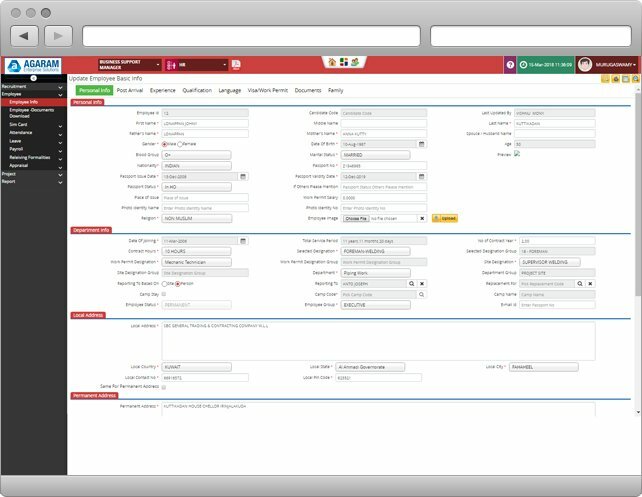 The maintenance module of the ERP for EPC sector automates the scheduling of all the preventive maintenance activities. Tasks such as daily inspections, regular services and repair activities of the Equipment, Vehicles, Tools and instruments can be scheduled as per requirement. Complete adherence to the maintenance process is ensured through check list for the activities. The entire service procedure is monitored and controlled through Work order tracking and spare parts & utility consumption monitoring. AgES ERP for EPC Contractor also supports mould maintenance. 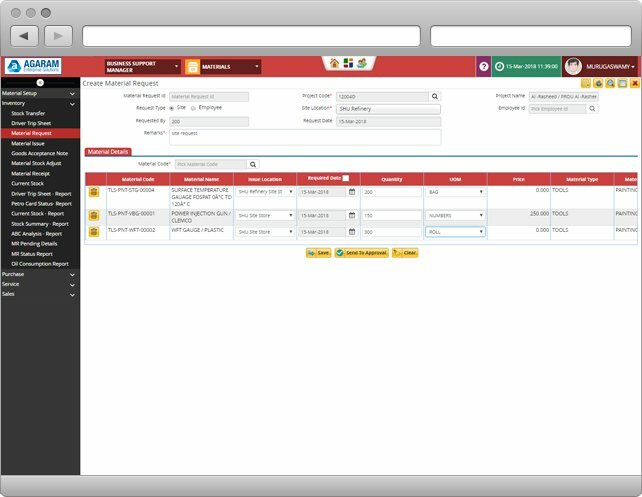 Systematic maintenance schedule and optimal usage of spares is achieved by instant alerts through dashboard for all the maintenance activities. 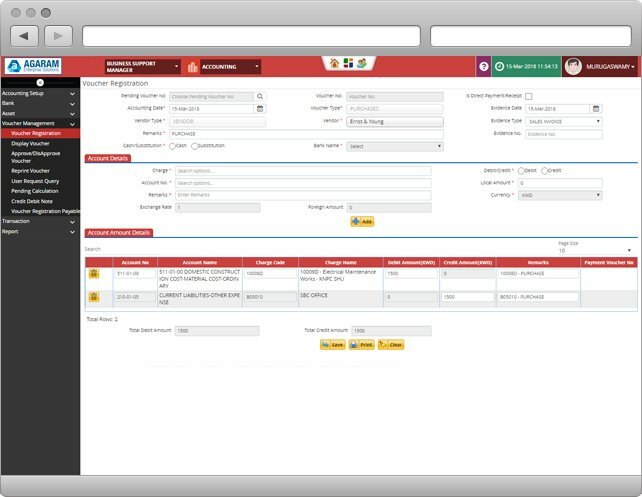 On spot breakdown intimation, immediate work allocation & tracking is easy with the easy integration of AgES plant maintenance with your Android mobile device, making breakdowns and incidents history. 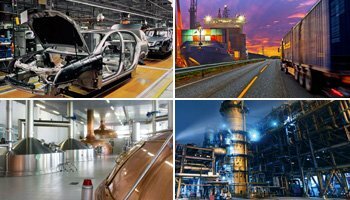 Extensive Planning & Execution of Preventive maintenance activities. Systemized control and follow-up for maintenance schedule. Comprehensive checklist for service configuration. Regular review through Maintenance log and historical reports. Systematic problem intimation and work allocation. Monitored spare parts & Utility consumption and detailed comparison reports. Minimizes incidents of downtime and breakdowns. Equipment breakdown analysis & control. Equipment utility review through equipment maintenance history. Our EPC ERP facilitates effective management of various activities involved in raising tender, and procurement. It simplifies the tender preparation process by capturing item-wise cost details against each line item in the Work Break Down Structure apart from total BID amount. The Tender module effectively captures the manpower, equipment and material requirements and ensures efficient planning and execution. 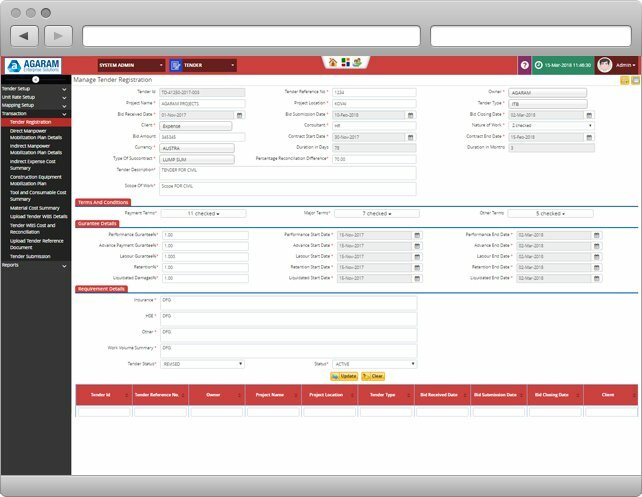 The ERP for EPC Contractor enables the on line submission of tender document with split up of manpower rate details, equipment unit rate details, indirect expenses information, tools and consumption details. Comprehensive Tender Setup and management. Work break down structure deals with requirement of every activity in the Tender. Logical control for direct and indirect manpower calculations. Unit Rate setup extensively captures the cost details of every aspect of the project. Systemized logic to arrive at the project cost. Efficient plan for equipment mobilization & manpower mobilization. Deadline control on Tender submission. Maintains Tender Revision History for reference & review. Maintains Payment schedules and provides appropriate escalations. Tender summary reports provide all required cost statistics. All financial data from various functional modules that flow in the system are gathered and accounted in the books of finance by this module of EPC ERP. The module generates the important financial reports such general ledger, trial balance, balance sheet and quarterly financial statements. The very essential feature to track the expenses of the company project wise, branch wise and also employee wise is provided here. The basic financial entities such as the ledger account, ledger group, bank account details, currencies, etc., are created, maintained and scrutinized to study the financial implications. Performs the auto posting of various key functional transactions. Efficient control on payment approval process. Efficiently manages multi-currency financial transactions. Comprehensive Asset management starting from Registration to Disposal. Manages multiple account types and groups with ease. Streamlined voucher management / purchases with authorization. Reconciliation reports on single click. AgES EPC Software provides comprehensive provision to create a contract between the service provider and the parent companies. The application captures all the information about resources and milestone deliveries. All the required Project Mile stone details, Contract registration details, Compliance related information, responsibility and roles are captured to the finest of details, along with the Project contact information. This ensures easy & effective communication between the parties. Our ERP for EPC Contractor issues instant alert to the stakeholders for milestone completion and overdue in task completion. Comprehensive provision for Contract management. Effective control on project milestones. Maintaining all required project contact & communication details; ensures efficient Contract communication. 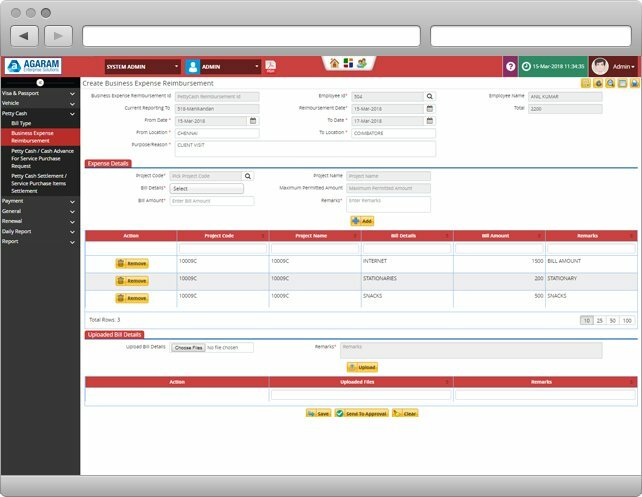 Easy & Effective daily productivity monitoring of all the project activities based on contract. Milestone based and Compliance based billing. Simplifies the calculation on work breakdown structure of manpower and equipment mobilization. Continuous Project monitoring & reviews through periodical reports and auto mailing option. Complete platform to manage all the process stage wise. AgES ERP's Dashboard provides vital analytics for all the process of EPC industry. It provides a complete platform to automate all the approval process and give instant notifications to the concerned stakeholders. Simplifies the tracking of expenses, payments & receipts, accounts receivable & payable, etc., and gives sales forecast for immediate attention. Quick books Income and Expenses. Shortage of skilled labour is a major issue in this industry. How does your application make the mobilization process easier? The application handles all the processes in recruitment and mobilization of manpower very efficiently. Schedules interviews and provides alerts to the candidate and the interviewer beforehand, completely automates the candidate information gathering and maintenance. Visa processing for selected candidates is a laborious one with many stages and related Red-tapeism. What is the help offered here? Complete visibility to employee visa processing is provided by the system. Alerts are issued for each stage; the cost involved, necessary documents required at each stage of visa processing are available at the click of a button. Delays in the supply of necessary materials at the project work site slow down work progress. How do you avoid this? Materials management is an important function in order to improve productivity in construction projects. AgES ERP for Construction offers a comprehensive material management module which includes planning and material take off, vendor evaluation and selection, purchasing, expenditure, shipping, material receiving, warehousing and inventory, and material distribution. Helps you achieve the timely flow of materials and equipment to the jobsite, and thus facilitate improved work face planning, increased labor productivity, better schedules, and lower project costs. Project level expense tracking is mandatory; it is required to analyze the profitability margin. Does the system offer this? Every expense incurred is mapped to its respective project. 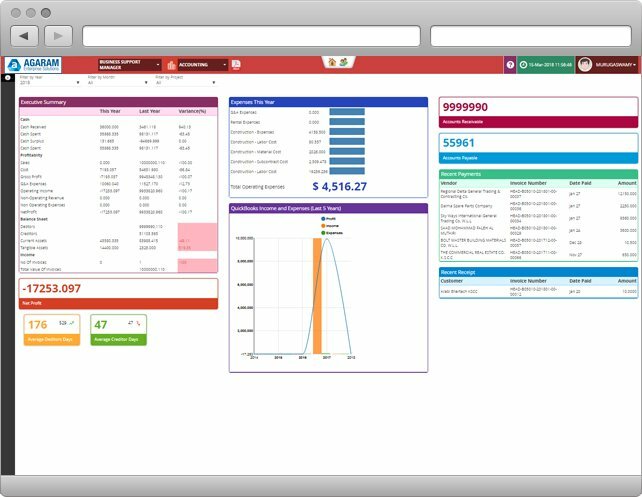 Our EPC software also enables the user can easily acquire the expenses incurred and the revenue accrued for each project and thereby analyze its profitability. Optimal usage of manpower is the prime factor for increased profit. How does the system help to monitor this factor? Employee Time-in and Time-Out at the project site location is captured with absolute accuracy. System also maintains the employee shift details, leave information & permission details. All these help to deduce the manpower productivity metrics and ensure the optimal usage of the work force. Implementation and portability issues weighing you down?